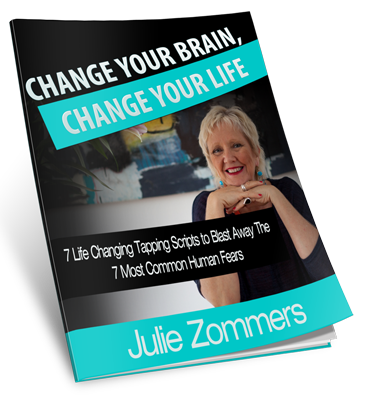 Blast Away The 7 Most Common Human Fears! The Emotional Freedom Techniques (EFT) is an elegant little technique that you can easily learn and apply. It releases old thinking habits, so you can embrace a new way of being. Sometimes the simplest things make all the difference. 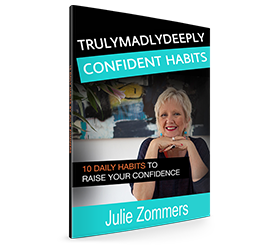 If any of these issues resonate with you, then this book can really help you. Love, love, loved this book, fantastic read. This book has really helped me overcome they shyness that has stopped me from speaking up all of my life. Thank you so much Julie. I wish I’d read this book years ago, it’s packed with so many easy practical suggestions! I read this article and found it very interesting, thought it might be something for you. The article is called Change Your Brain, Change Your Life and is located at https://trulymadlydeeplyhappy.com/change-your-brain/.